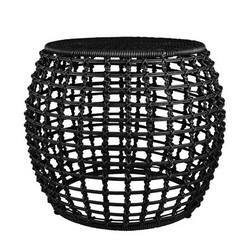 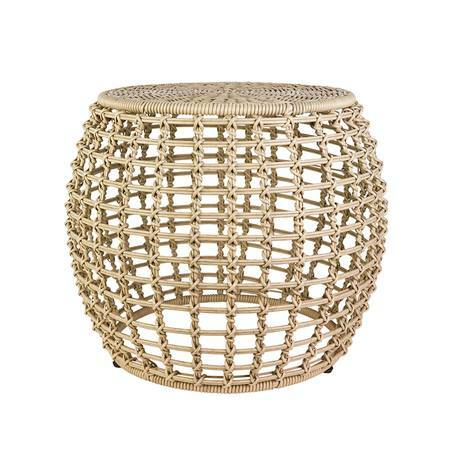 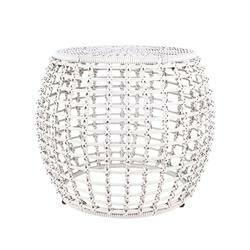 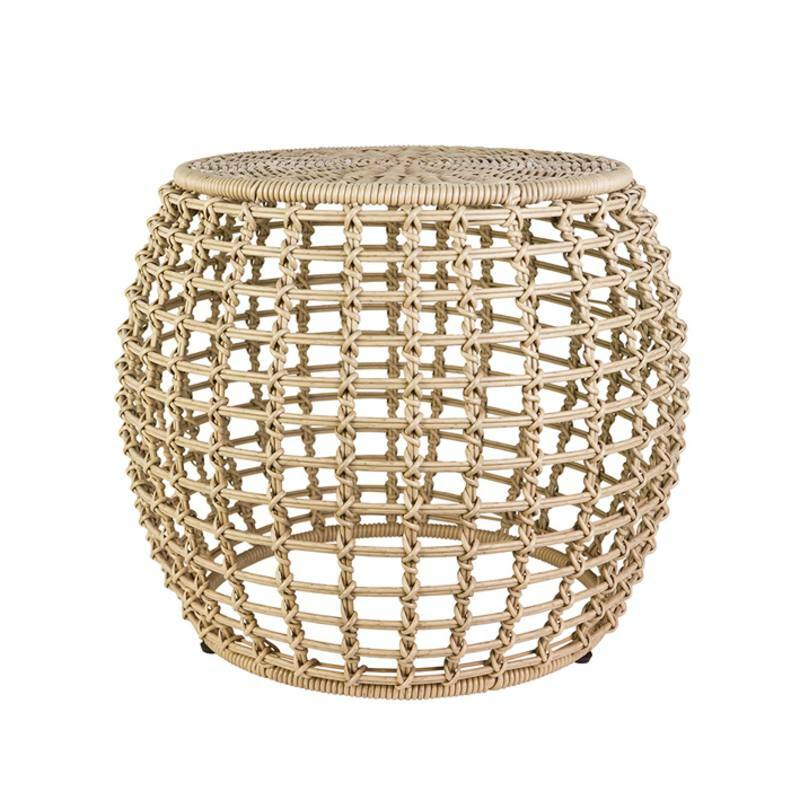 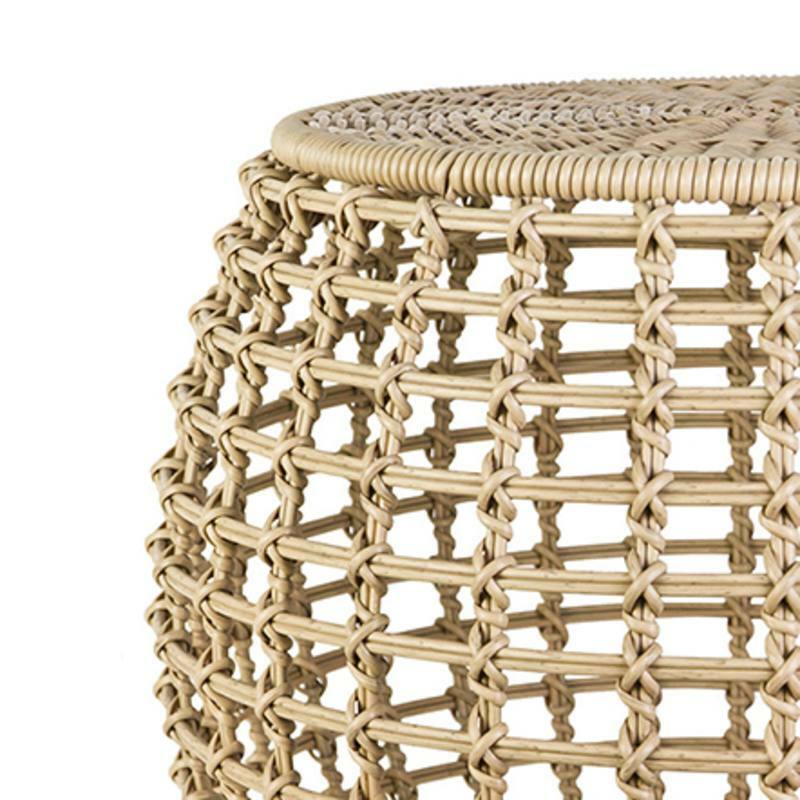 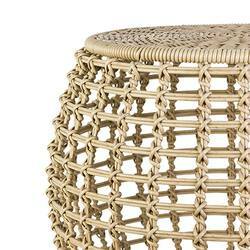 This check round woven outdoor side table will stylishly complete the setting for any outdoor living space. 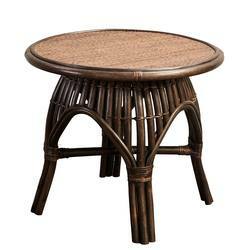 While this table can stand a rain shower, we recommend that it is not left outside in all weather. 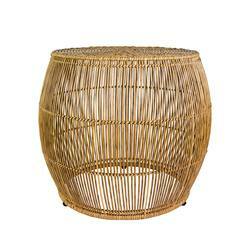 It is best used under cover, away from direct sunlight to prevent fading.